I've been a professional artisan all my adult life. My attention to detail, problem-solving abilities, and determination to get it right are the result of a lifelong passion for creating beauty. I began my career as a maker of fine musical instruments, now used by professionals around the world. I was awarded a Craftsmans Fellowship from the National Endowment for the Arts, a year long award to craftsmen of exceptional talent. The award allowed me to travel and study in museums throughout Europe. When I turned my interest to landscape design and fine pruning I brought the skills of an experienced craftsman to creating gardens. I've designed ornaments and functional objects for some landscapes and I'm always interested in exploring new materials and ideas with clients. As handcrafted objects of the highest quality bring continuing delight, I want my gardens to engage your senses, inviting you to slow down and enjoy the pleasure that results from nature enhanced by craftsmanship. We do landscape and design, call us for a quote! 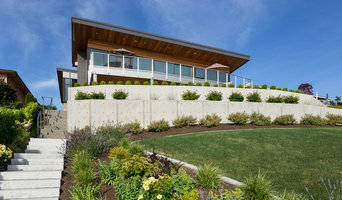 With over 8 years of experience serving the Seattle Metro area, 2 Bros Landscaping is your solution for all your lawn maintenance and landscaping needs. We take great pride in our extreme professionalism, timeliness and superior customer service on every job. We make sure to develop a lasting relationship so that the next time service is needed there will be no question on who to call. Give us a call today so we can answer all of your questions. Satisfaction guaranteed! Landscape design for multi-family developments, commercial and public projects. 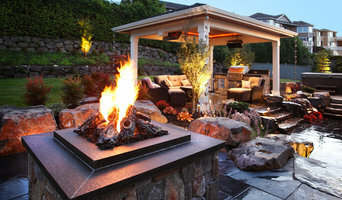 Tom's Landscaping is committed to excellence in every aspect of our business. Since 1991, we've upheld a standard of integrity bound by fairness, honesty, and personal responsibility. Our distinction is the quality of service we bring to our customers. Accurate knowledge of our trade, combined with ability, is what makes us true professionals. Above all, we are watchful of our customer's interests and make their concerns the basis of our business. Victoria’s landscaping is a family owned and operated company; we take pride in assuring every project is awe inspiring and lures out Mother Nature’s best. With our 15 years of experience, we’ve done it all – from rockeries, ponds, and gardens, to keeping your yard alluring through regular maintenance. Our highly skilled team takes pride in their work of creating masterpieces that are overflowing with beautiful sights, smells and sounds.